Opening two legendary Italian shows during this year’s Milan Fashion Week as well as drifting down the Giambattista Valli SS15 Haute Couture runway in a frothy pink gown, Vanessa Moody is fast becoming a very familiar face in the modelling circuit. 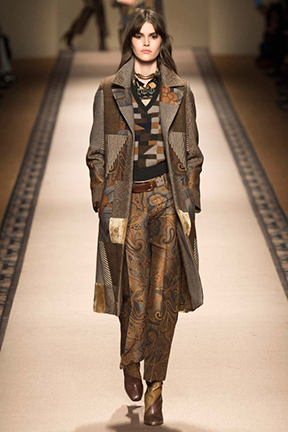 Not only did she open Etro and Blumarine’s FW 2015 RTW collections, she graced the runways of many more. With the Valentino SS15 campaign under her belt we can’t wait to see where she turns up next.